I purchased this 8-watch case to hold my watch collection that has grown over the years. This is a really pretty case and looks great sitting on top of my jewelry dresser or fits securely in one of the drawers. 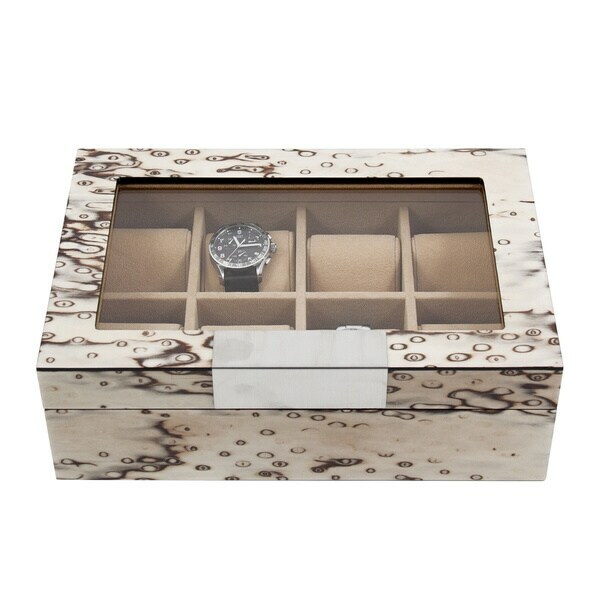 The handsome watch box is constructed in high lacquer wood and lined with soft velour lining in order to preserve your valuables. The item features storage for eight watches and a glass viewing top. This case is BEAUTIFUL! It is high quality with a heavy weight and sturdy hinges. The metal piece is a perfect accent to modernize the exotic hard wood. My son is going to LOVE this for his watch collection. 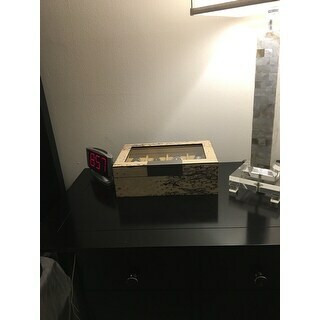 Beautiful Beautiful watch box. This was given to my husband for Christmas. He was totally surprised and thought that it was beautiful! Good quality! Heavy feel and well constructed! 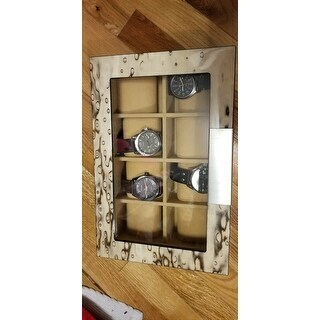 Would reccomend to gift to any man who needs a watch case!